It’s October! The Witching Hour is upon us! Tis the season for all things spooky, scary, and suspenseful! But it’s also the season for rainy, blustery days. When you’re stuck inside with steaming soup and hot cocoa, why not pass the time by picking up one of my favorite monstrous, murderous, and magical books?! o I’m a sucker for dark retelling of fairy tales and this book lived up to my expectations! Brom’s stunningly detailed artwork matches his raw and gory version of Peter Pan. Peter’s “Neverland” is rotting and withering away as he and his Lost Boys wage war against pirates and the other monsters that inhabit the last magical place on Earth. o This is actually the THIRD of John Connolly’s Charlie Parker novels, but this one has stood out to be the one that just made my skin crawl, roll around in nervousness, and want to throw Obi-wan Kindobi against the wall. I highly suggest you read all of them as there are details and back story that build with every novel! Be warned though, these books get heavy – murder is considered to be “light.” They’re not especially graphic, but if you are sensitive to real-world taboo subjects you may want to skip this one! o I know, maybe you’re tired of vamps, but I swear these are different! Hogan and Del Toro take a more science related approach to how vampires and made and communicate. They detail how the parasite takes over the body and turns it into the genderless mutation that spreads throughout the US. 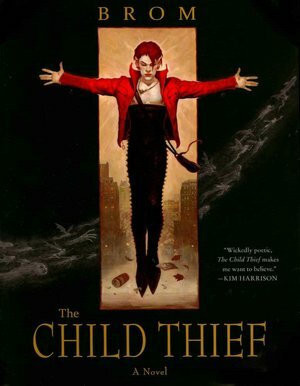 The gritty real-world feel is balanced out by thoughtful lore about how the first vampire was brought about (I am also a sucker for unusual versions of Biblical characters). I read all three books in a week!! o I love intelligent true crime. And also righteous pursuers of justice. This book talks about FBI Special Agent Roy Hazelwood’s work apprehending serial killers and sexual predators. A must read for anyone who enjoys crime shows on TV! o If you’ve seen the Will Smith movie and judged the story based on that, you HAVE to read the book. It’s extremely different!! I cringed continuously while reading it because Matheson does an expert job writing Neville coming apart and going mad as he is continuously harassed by vampires attempting to lure him out of his house. o A beautifully sad fairy tale. I heard about this book on NPR and knew I had to get it! It will make your heart ache and make you believe magic is real and out there. 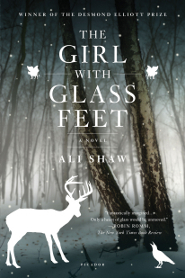 The main girl of the story literally shows up with glass feet and pairs up with a boy (who just wants to be left alone) in order to find a cure (don’t worry – it doesn’t turn into a cheesy love story!!). o Yup! Another Connolly book! This was actually the first book of his that I read because the artwork on the cover was so appealing (yes, I DID judge a book by its cover)! This is another book that involves dark versions of fairy tales that help and harass the boy as he journeys to the King. It’s an honest (although fantastical) coming of age story of a young boy who has to fight through those greedy, cowardly, jealous parts of our souls in order to grow up.